This is just an introductory page, to this family line. 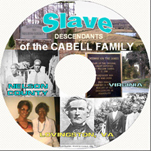 Let me explain in detail of how the search for my ancestors began. In the year two thousand and nine, my sister Lisa invited me to join the online social network called Facebook. She told me of the many relatives who were already members. This social network (when used in this fashion) makes it very easy to connect with long lost relatives. 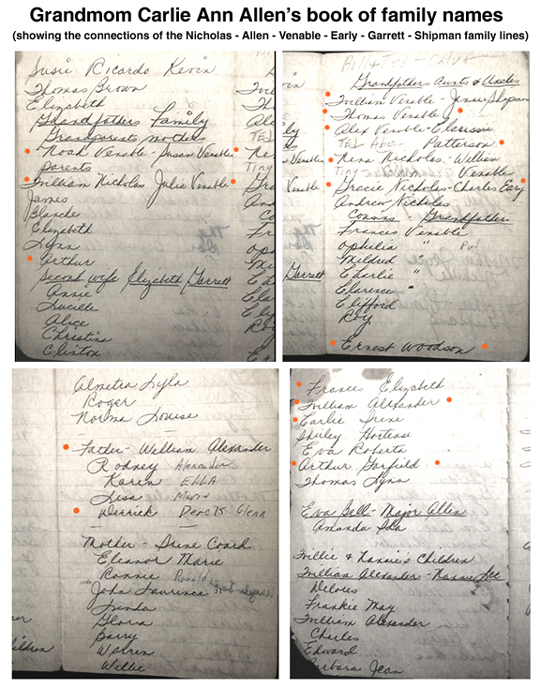 I thought, how wonderful it would be to post the names of our relatives shown in my grandmother's book of family names. I can recall as a child, seeing this book in possession of my father. This historically precious book has been in our family for about sixty five years! 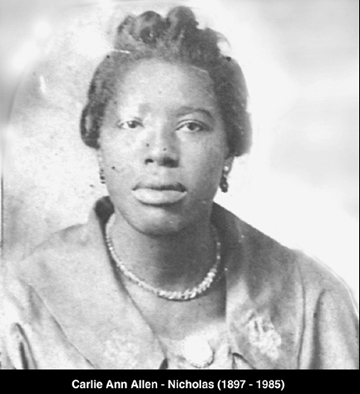 My grandmother Carlie Ann - Allen dictated the family names to my cousin Eleanor Nicholas Finch written in a small book! There it stayed, tucked away in my father's dresser drawer for many years, until I got this burst of inspiration to post this valuable information on line. Once I joined the network, I immediately up loaded the list of names! I soon discovered, that very few relatives, had little knowledge of these names, nor any history of the individual family lines, nor their connections! I set up a free on line family tree, and began my search, starting with my grandfather, Arthur Garfield Nicholas. 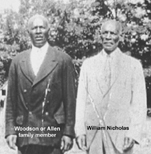 From interviewing my father, William Alexander Nicholas, I learned that his father, Arthur as well as the rest of the relatives of his family line were all from the area of central virginia known as Lovingston Nelson Virginia. Arthur Garfield Nicholas appears on the 1910 federal census residing with his parents and siblings, in Lovingston, Nelson Virginia. Arthur's father was William Nicholas, born in 1868. William was married twice. His first wife was Julia Venable, born in 1872. 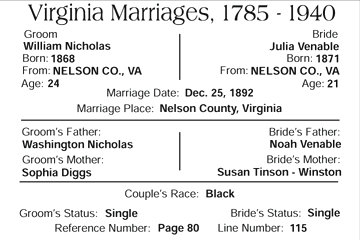 Julia was the daughter of Noah Venable, and Susan Tension. 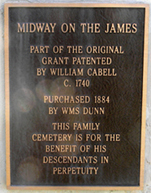 William and Julia had five children together. Arthur, was their youngest child. Arthur's siblings were James, Blanche, Linwood, and Elminia. 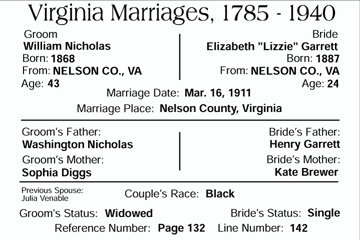 The second wife of William Nicholas was Elizabeth "Lizzie" also listed as "Jennie" Garrett born in 1887. Lizzie was the daughter of Henry and Kate Garrett. William and Lizzie had six children together. They were Elizabeth, Annie, Clinton, Lucille, Alice, and Christine. 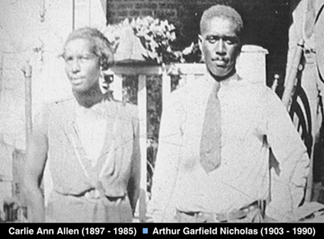 Here are the children of my grandparents, Arthur Garfield Nicholas, and Carlie Anne Allen. They are / were; Frances, William Alexander Nicholas (my father), Irene, Shirley, Eva, Arthur Jr., and Thomas Nicholas.